2016 was the worst year ever?!! Enough bellyaching. Set aside death, disappointment, and global chaos for a moment. Take a creative inventory of your life and career. Reflect on the good things that happened over your past 12 months. Document them, and celebrate! At the end of each year, I take a “career and creative inventory.” To get a better perspective of what actually happened, I list all of my performances, publications, compositions, workshops, new repertoire learned, and any professional or personal highlights. Get your calendar out and try it! You will discover just how far you’ve come (probably further than you think). When you write your accomplishments down, your dreams become concrete. In the process, you also keep your resume and c.v. up-to-date for that next big opportunity! 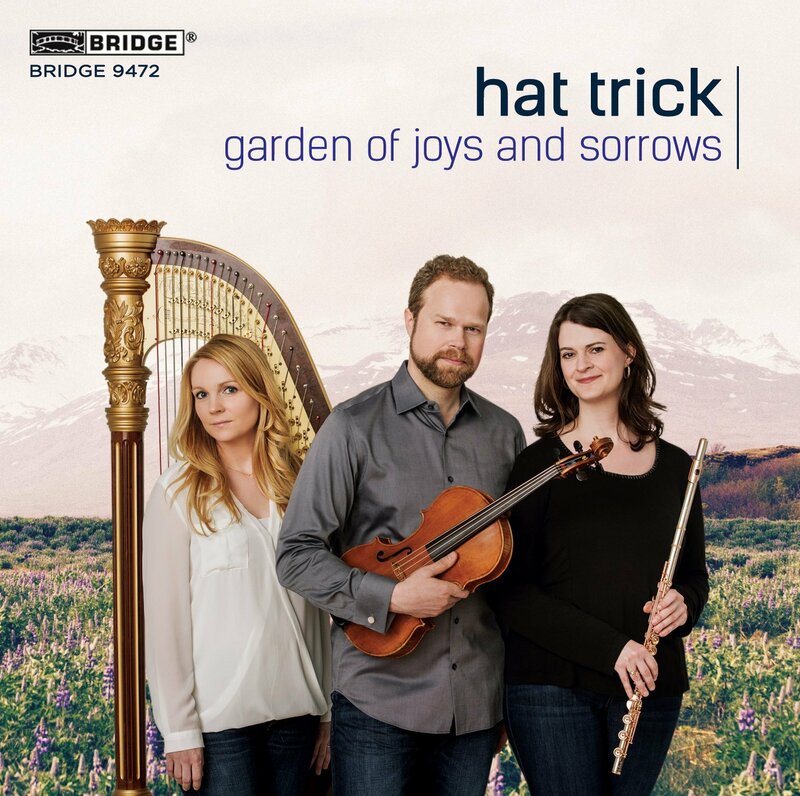 This month, Bridge Records released Garden of Joys and Sorrows, the debut CD of Hat Trick, my classical trio with harpist Kristi Shade and flutist April Clayton. David Frost (multi-Grammy winner for Classical Producer of the Year) did a fantastic job of bringing out our best! In addition to featuring beautiful trios by Claude Debussy, Toru Takemitsu, Sofia Gubaidulina, and Theodore Dubois, the CD opens with the world premiere recording of Miguel del Aguila‘s Submerged. We commissioned Submerged from Miguel in 2013. In our opinion, it’s a masterpiece. Miya Masaoka’s Triangle of Resistance: Heavy stuff! 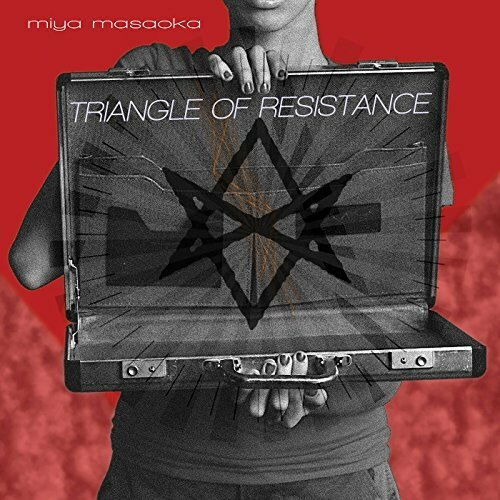 Late August marked the release of Miya Masaoka’s Triangle of Resistance. Released on Innova Records, this eerie, emotion-laden work explores Masaoka’s mother’s recollections of life and community during her detainment in the American World War II Japanese-American internment camps. 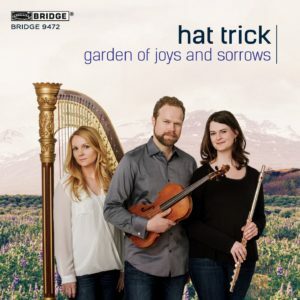 This CD instantly received a rave review from the Wall Street Journal. Subsequently, Miya’s composition made the 2017 Grammy long ballot in two separate classical categories. Certainly, I am proud to be the violist in this world premiere performance and recording! Finally, I am pleased to report that in 2016, The Doc Wallace Trio finished mixing and mastering Live at the Cornelia Street Café. We are embarking on the final stages of the liner notes and artwork. Hopefully, we’ll have the new CD ready by June. If 2015 was the year of Personas for Rachel Barton Pine, 2016 was the year of Array of Irrevocable Light. “Array” is my new through-composed tone poem for six-string electric viola (or violin). 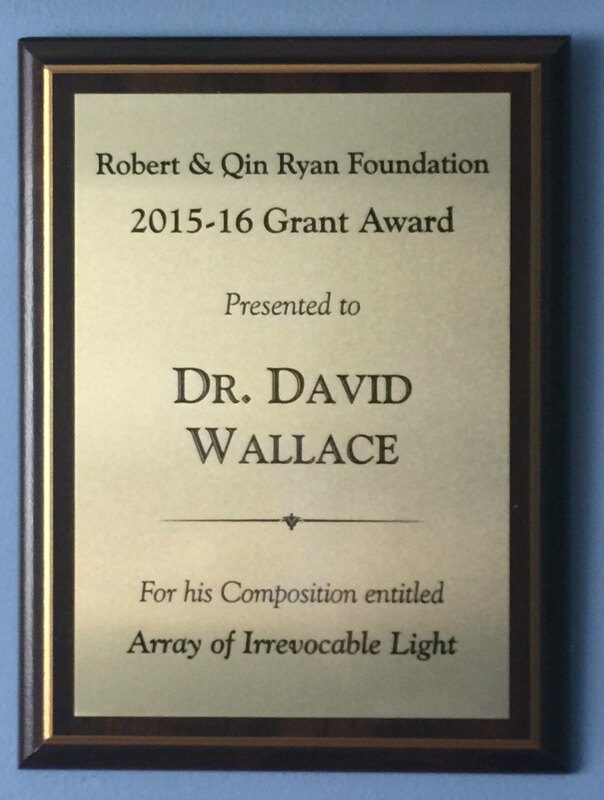 Commissioned generously by the Robert F. Ryan and Qin C Ryan Foundation’s Award for Composition, I composed the work over the first six months of 2016. 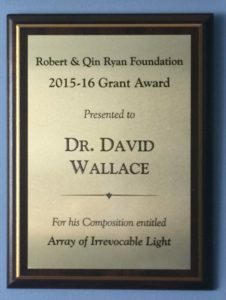 Array of Irrevocable Light‘s program wrestles with Faustian bargains, the loss of innocence, and our world’s looming, growing nuclear threat. During its composition, I sketched and improvised some terrifying and mind-bending explorations using extended string techniques, digital delay, twelve-tone techniques, and jazz modes. The piece is entirely composed, but with a few aleatoric moments where the performer creates specific textures for set durations. Fortunately, the MWROC Festival filmed the July 12th premiere. When I have the video, I’ll share it with you in a future post. Meanwhile, check out the program note, which some have deemed a “powerful philosophical statement” in its own right. Throughout 2016, I sketched new solo works for electric viola and for acoustic violin. Stay tuned. 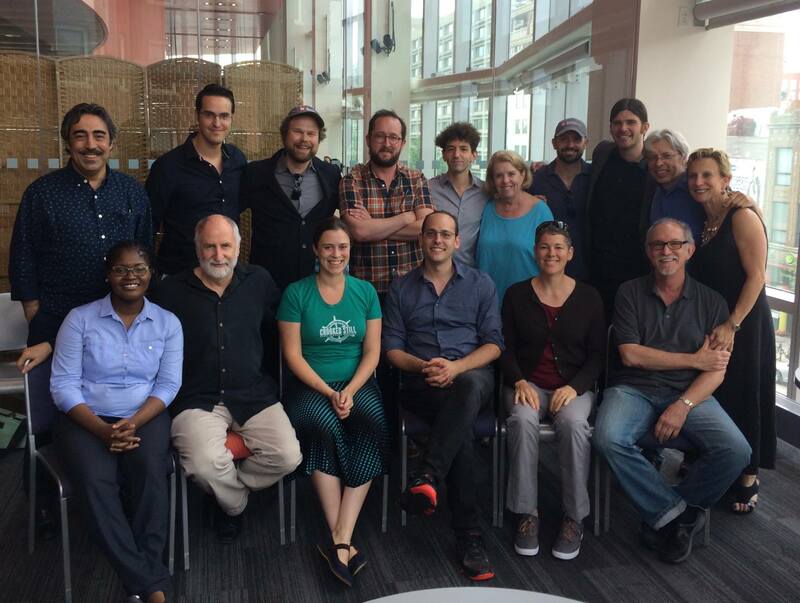 . .
Berklee’s 2016 Global String Program faculty! For the second year, I produced and directed the Berklee Global String Program. This is a wonderful, immersive week of concerts, jams, and intensive ensemble experiences with the phenomenal Berklee String faculty. Presently, there’s still room for you to join us for year 3! 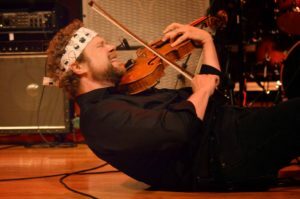 July is always one of my favorite months because I spend a full week teaching and performing at Mark Wood Rock Orchestra Camp (MWROC) and Music Festival. The faculty and students are a wild, boisterous, creative extended family; for this, I love them dearly. Soon, I will have videos from my 2016 set uploaded to my YouTube channel. Join us in 2017! -If you them I sent you, you get a discount! Naturally, a career and creative inventory should include service. I rounded out my first year as Member at Large of the American String Teachers Association’s (ASTA) National Board. I’m a firm believer that string teachers must band together, collaborate, advocate, educate, and make this world a better place. Thankfully, ASTA members are succeeding in every regard! At the 2016 National ASTA conference, I co-presented two sessions. With Trickle Up Stringonometrics (If you Build It, They Will Come), phenomenal educators Elizabeth Fortune, Bob Phillips, Kelly Barr-Clingan and I shared how to develop multi-stylistic string programs in secondary schools and higher education. 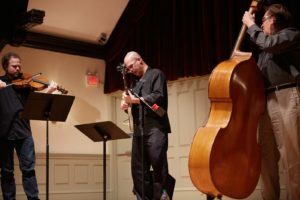 In Tools for the 21st Century Musician, Joe Deninzon, Sean Grissom, and I gave the standing-room-only crowd a whirlwind tour of looping, jamming, transcribing, and transposing. So that you can benefit from our resources, practical advice, and lesson plans, I’m linking the session’s handout. Don’t miss the 2017 ASTA conference in Pittsburgh! I’ll be co-leading a half-day pre-conference session (Cultivating Creative Musicians) with master artist-teachers Matt Turner and Darol Anger. I also look forward to joining sensational artist-composer Martha Mooke for Violists on the Verge. I don’t get to post this on my door every day. . . 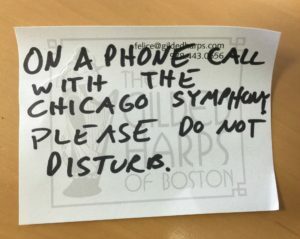 In November, the Civic Orchestra of Chicago hosted me for a two-day teaching artist residency. To demonstrate principles of interactive performance, I led workshops and gave performances of Array of Irrevocable Light and Heinrich Biber’s Passacaglia. Additionally, I coached orchestra fellows on their own interactive concerts. We immersed ourselves in Bach’s complete Brandenburg Concertos (-How can we share them with diverse audiences?). Afterwards, I enjoyed coaching their stunning memorized adaptation of Richard Strauss’s Don Quixote. Since January, I filmed 26 new video lessons for MyTalentForge.com. The lessons support four series: Secrets for Shifting Success, Shifting Practice, Left Hand Life-Hacks, and Quick Tips. To watch some of my MyTalentForge.com video lessons, click here. You can subscribe at this link. When you make your creative inventory, do not neglect your primary work. For me, that’s being Chair of Berklee College of Music’s String Department, which still feels like a dream. I’m incredibly blessed to work with a magnificent team of teachers, artists, and composers. Consequently, I’m challenged and inspired create the best musical environment I can imagine each day. Because our string population keeps growing, I hired three wonderful new professors in 2016. Joining us are cellist Natalie Haas, violinist-violist-multi-instrumentalist Beth Bahia Cohen, and violinist Sharan Leventhal. Notably, Sharan is the first String Department professor to serve jointly on the faculties of Berklee and The Boston Conservatory, which merged in June. Next year, you’ll find me performing frequently with my colleagues from other departments. I’m thrilled that my longtime collaborator, Richard Carrick, recently joined Berklee as Chair of the Composition. 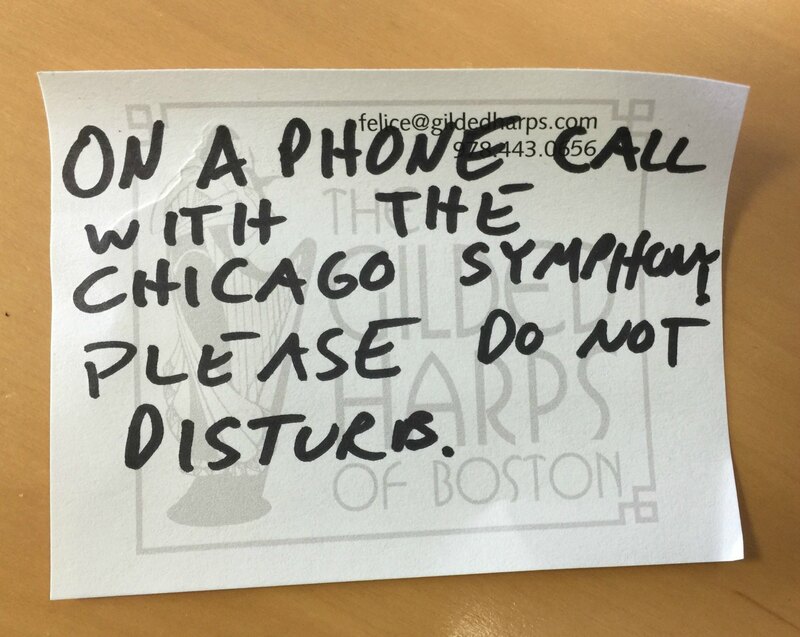 (As a side note, Rick conducted the recording of Triangle of Resistance). So, it has been a full year. -A good year. Take stock accordingly. Although 2016 may have been challenging, distressing, or disappointing, look closely. Because you surely can find blessings and accomplishments, you can settle the past and find hope for the future. Take your creative inventory. Congratulations on an outstanding 2016, with so many events, accomplishments and milestones. I especially enjoyed your talk on the the Berklee String Department’s focus and direction in “Becoming a Village” which delivered as well as any TED talk I’ve ever heard. In fact, while listening I imagined that the principals you outlined would leverage well into any human endeavor where training, knowledge and experience are passed from those who have gone before to those who are coming along. A nice education paradigm indeed. Thank you for sharing and good luck in 2017! Wow, that’s high praise! Thanks so much, Kurt, and have a wonderful 2017!